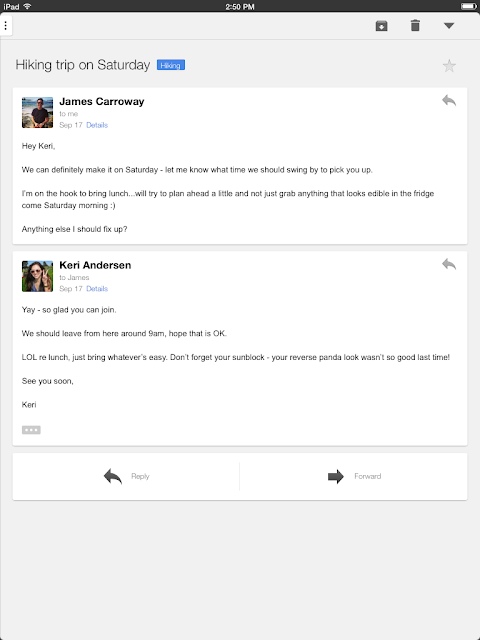 Google have updated Gmail iOS app on iPad which features some new looks for Gmail. The improvements clearly lead to a better user experience and the official blog post shows these changes in action ! So if you are using Gmail app on iPad then consider updating your Gmail app to get the best of Gmail. Accessing the new features of Gmail is now easier and with your iPad, you can do all the things that you do with your laptop or desktop.